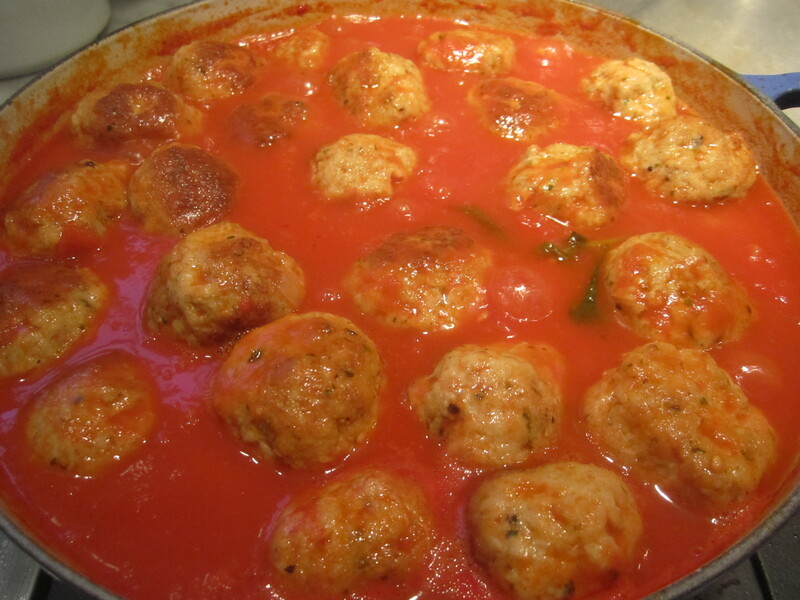 On Mother’s Day, I made this recipe in honor of my mother, who makes the best turkey meatballs on the planet. These are moist, light and flavorful. Many people have asked my mother for this recipe, so several years ago, I watched and wrote, as my mother made a batch, measuring all of her ingredients as she went along, to finally codify this recipe. This recipe is for all of the fans of these wonderful meatballs, and in honor of mom. 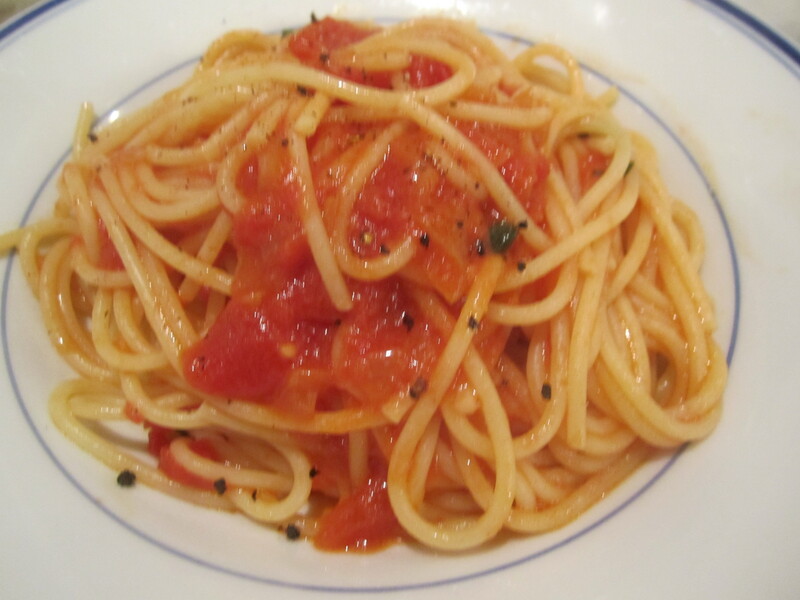 As a first course, we had spaghetti, made with the red sauce rich with the flavor of the meatballs. 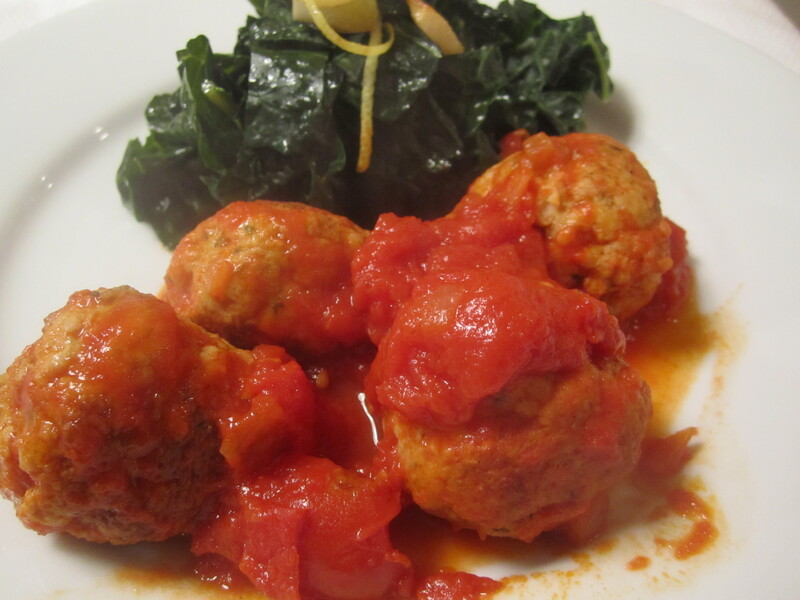 As our main course, we had the meatballs and some sauteed kale with garlic and lemon. 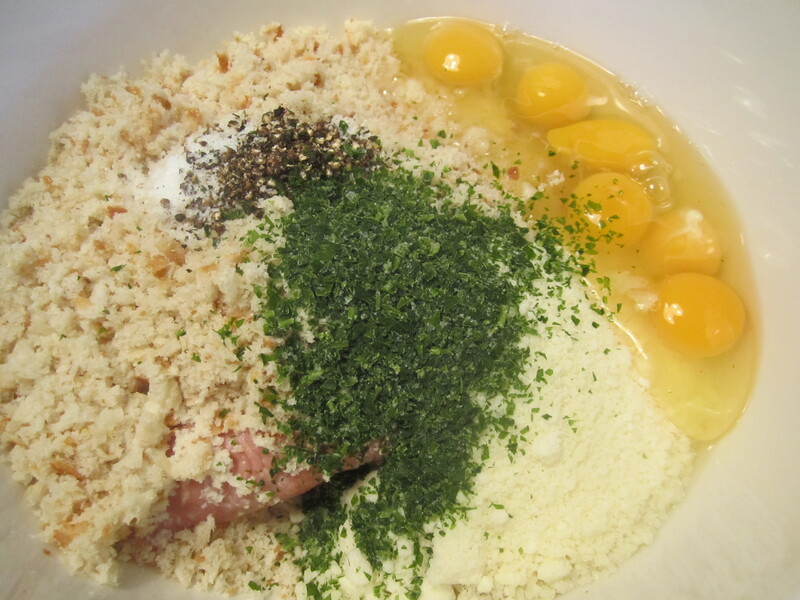 Combine ingredients in a large mixing bowl. Incorporate well with hands. Let stand for 15 minutes covered at room temp. Make red sauce (recipe below). Form the balls, and brown, in batches, in olive oil. If the oil becomes too brown, discard and replenish. When all of the meatballs have been browned, add the sauteing oil from the last batch to the red sauce. Simmer meatballs in the sauce for about 20 minutes. This entry was posted in Poultry, Sauces. Bookmark the permalink. Another one to try out!